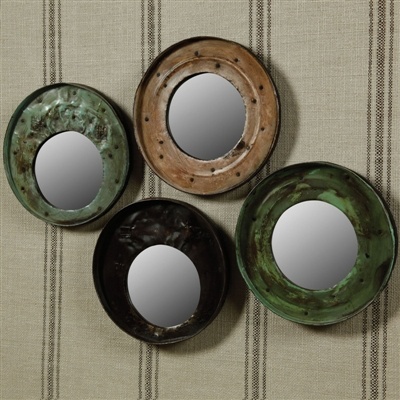 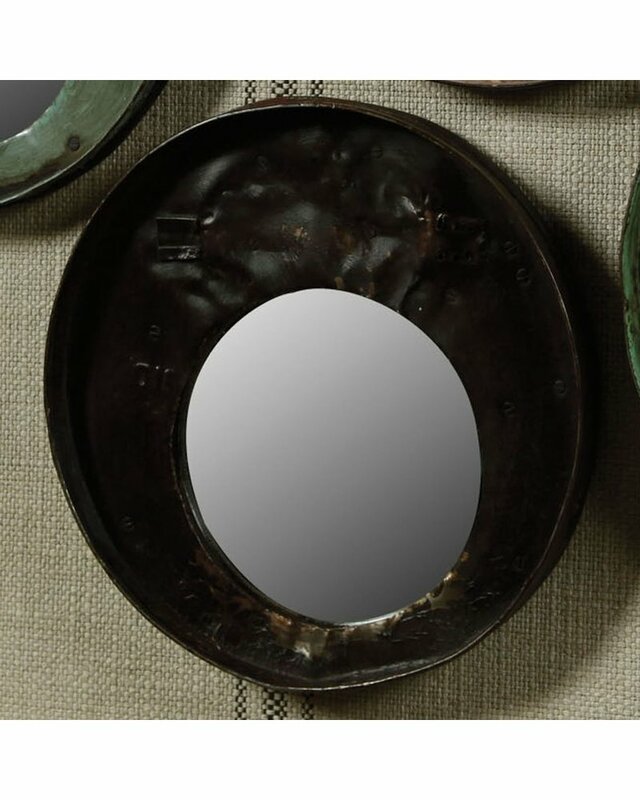 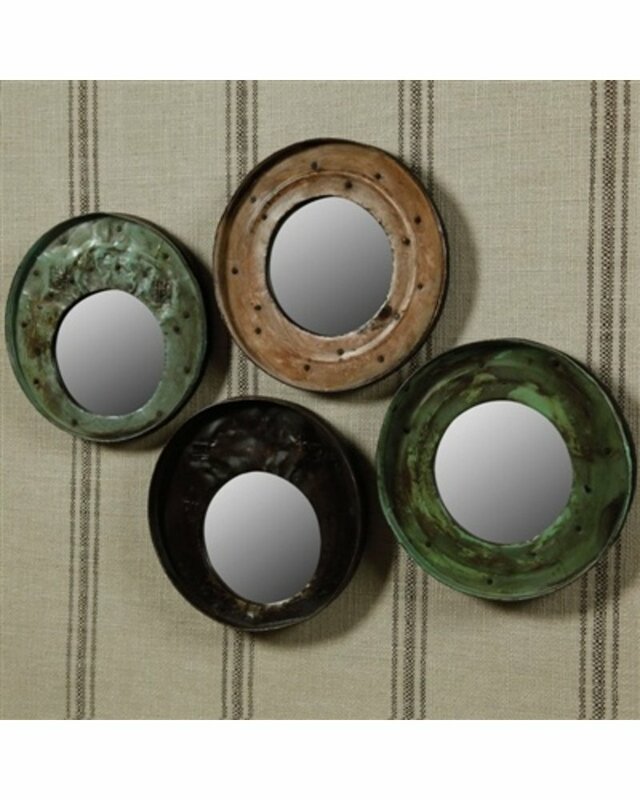 HomArt’s Reclaimed Drum Lid Mirrors are fashioned from the lids of steel drums destined for landfills. 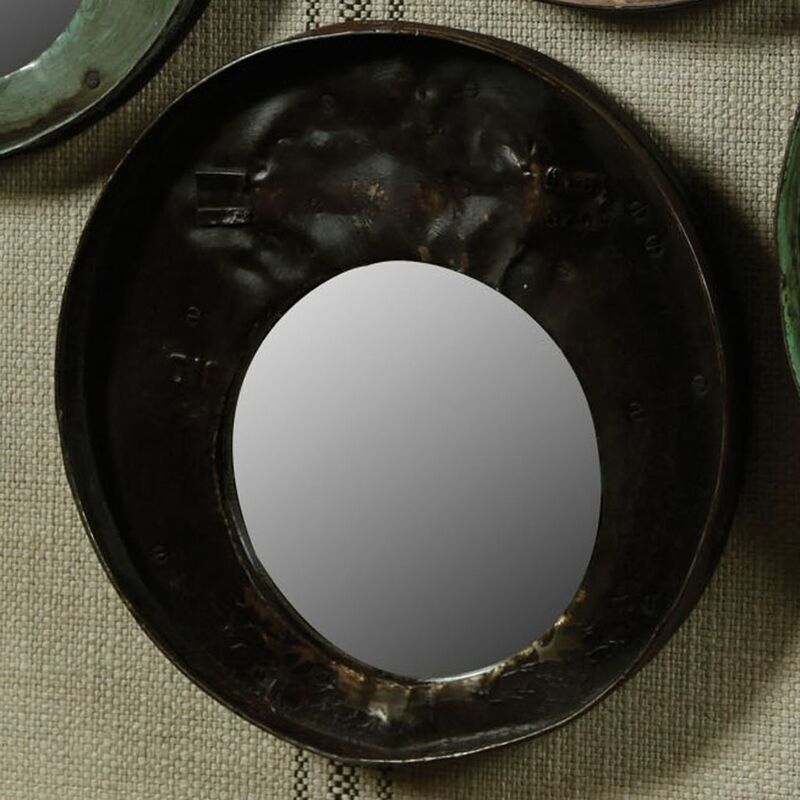 Mirror placement and color will vary based on original size and purpose of drum. 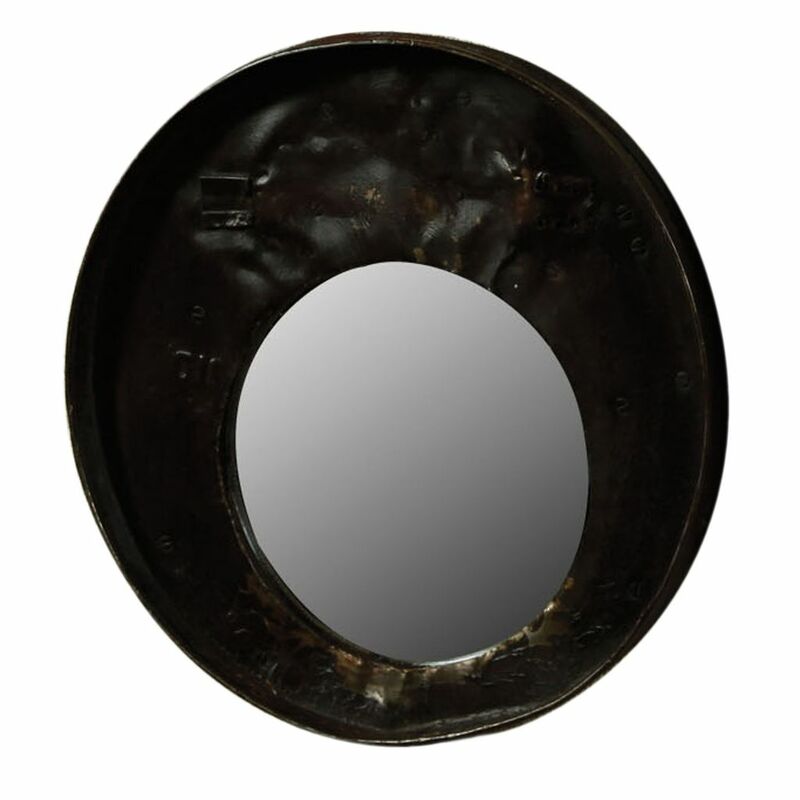 The diameter of the Reclaimed Drum Lid Mirrors is approx. 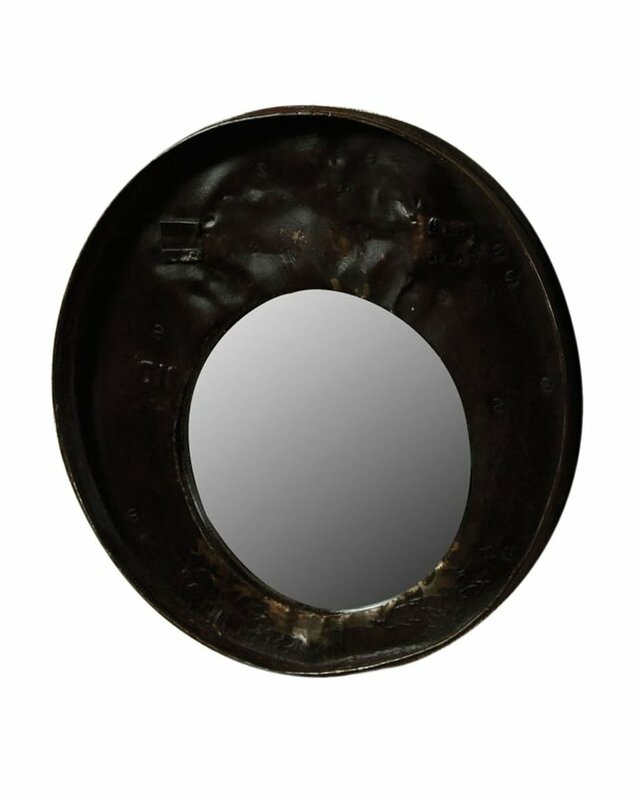 11 inches.